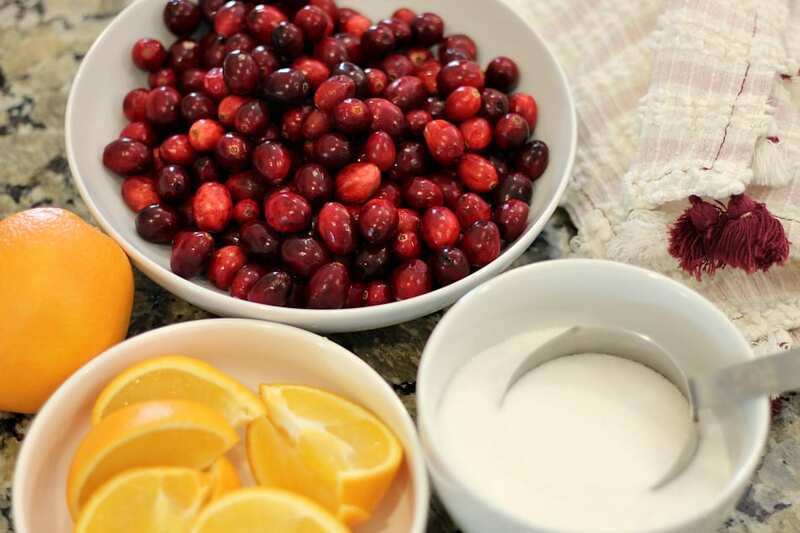 Cranberry Orange Relish is a new-to-us recipe on our holiday table this year. 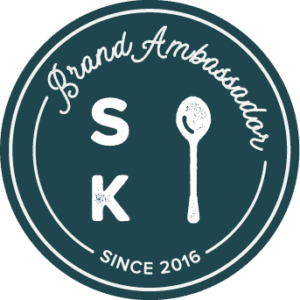 While I’ve long been a fan of cranberry sauce – yes, I like the canned stuff! – I wanted something a little more special this year. Festive, maybe. This simple recipe is just the ticket. It takes about five minutes to make, and it is absolutely delicious! 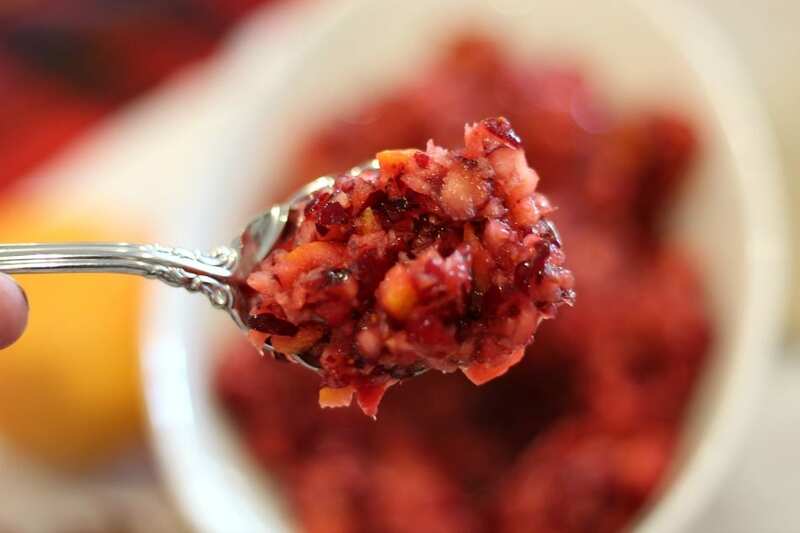 Cranberry Orange Relish is full of bold flavor, so it is definitely best as a relish instead of a full-size side dish or salad. A little goes a long way. You can go with a nutty option or a non-nutty option. I like both. You’ll need a 12 oz bag of fresh cranberries, one orange, a half cup of sugar, and an optional half cup of chopped pecans or walnuts. Wash the cranberries well. Quarter the orange with the peel on. Take seeds out if there are any. Squeeze orange juice in a mixing bowl. Place cranberries and squeezed orange in food processor and chop for a few seconds. Be sure to get all big chunks of orange peel chopped or they will be bitter. Put chopped fruit mixture in bowl with orange juice. Add sugar and mix well. Store in fridge for at least an hour. Stir again and add nuts just before serving. 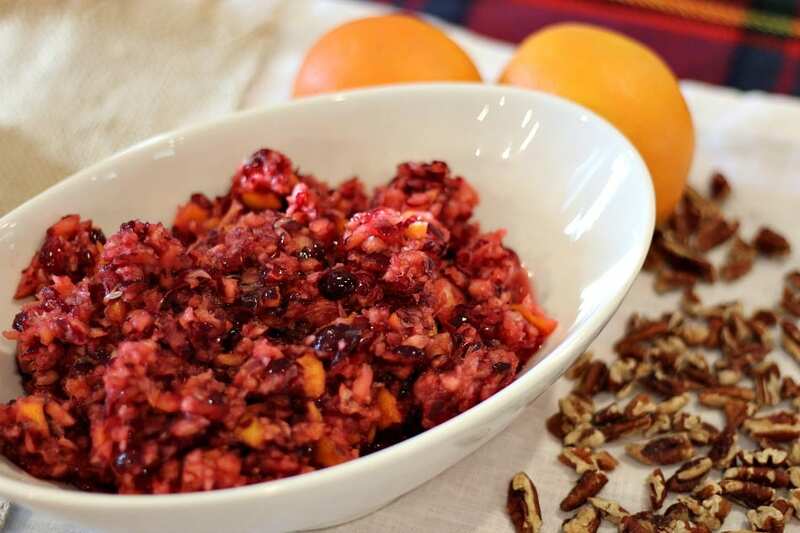 We hope you enjoy Cranberry Orange Relish as much as we do!